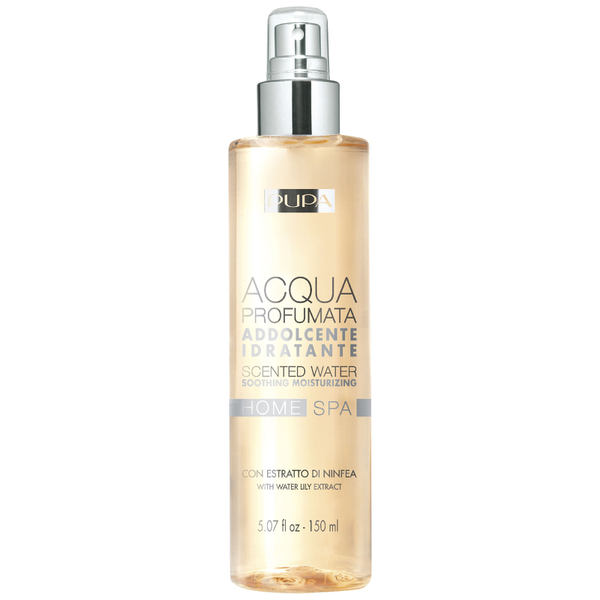 Transport the senses with the Moisturizing Home Spa Scented Water from PUPA; a lightly scented, water based spray with a delicate, decisively feminine fragrance. Suitable for all over body use, the spray opens with a bouquet of Rose, Jasmine and Peony, which folds into the sensual essence of natural Clove Oil for a subtle hint of spice. 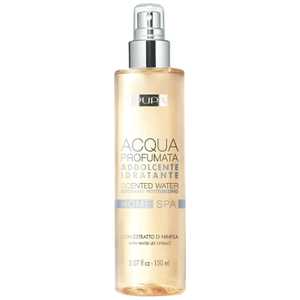 Enriched with extract of Water Lily, the spray replenishes moisture levels and leaves skin feeling softened and comfortable with a lingering perfume. Spray generously on your body, especially on the back of your head, on wrists, back of your knees and cleavage to better receive the beneficial aromatherapy effects of essential oils. It is ideal if used in the morning, after your bath or shower routine, but perfect also in any other moment during the day.